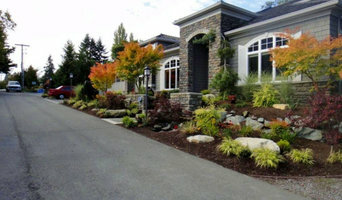 Barbara Lycett Landscape Design was established in 1999 as a one person landscape design and consultancy business serving residential clients in King and Snohomish counties. This region is known for its stunning natural beauty, towering fir trees and lush year round greenery, its temperate climate and plentiful rainfall. 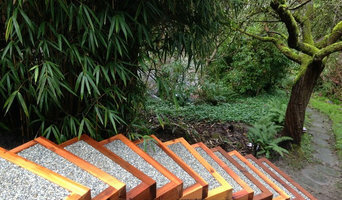 These qualities inspire Barbara to create sustainable gardens that reflect the unique northwest environment. Barbara’s design process features active client participation and engagement. 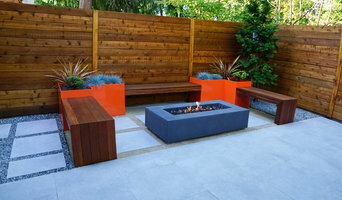 In her work as a landscape designer, there is nothing Barbara finds more satisfying than helping people realize the dream of creating a special outdoor space. Landscapes are designed to reflect the architectural style of the home and to be attractive and welcoming all year round. A design package may include CAD-generated conceptual landscape, planting, construction and layout plans, depending on the needs of the project. Those clients who are not installing the designs themselves are referred to one of three landscape contractors. These contractors are familiar with Barbara’s specified sources for stone, gravel, soil, compost, edging, and lighting and irrigation materials and share the goal of a more sustainable approach to landscape design and construction. Plants are often selected and purchased by Barbara personally. If desired, landscape plans are prepared to accommodate installation in stages. Clients are offered budget guidance for planning such longer term projects and these clients are supported throughout the process. Consultations are performed on a regular basis, including insect and disease diagnosis, landscape design advice and one-on-one training in pruning, landscape maintenance and landscape installation. 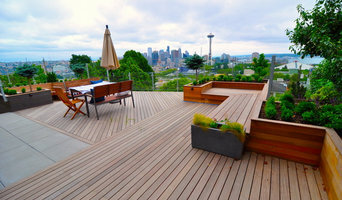 Seattle's Collaborative Landscape Designer Best of Houzz Winner! Born and raised in Seattle and trained in architectural design and fine arts, Michael Muro has years of experience creating beautiful, sustainable gardens in the Pacific Northwest. With his extensive knowledge of regional plants, soils, and micro climates, Michael is well equipped to create gardens that will thrive, endure, and add value to any property.